A stock buyback or share repurchase is the acquisition of a company's own outstanding shares, using company funds, reducing the number available on the market – the overall share count. This can be done in most countries, although buyback laws of the respective nation may vary. In the United States, the SEC has called for tougher stances on buyback laws and a clampdown on officials taking advantage. 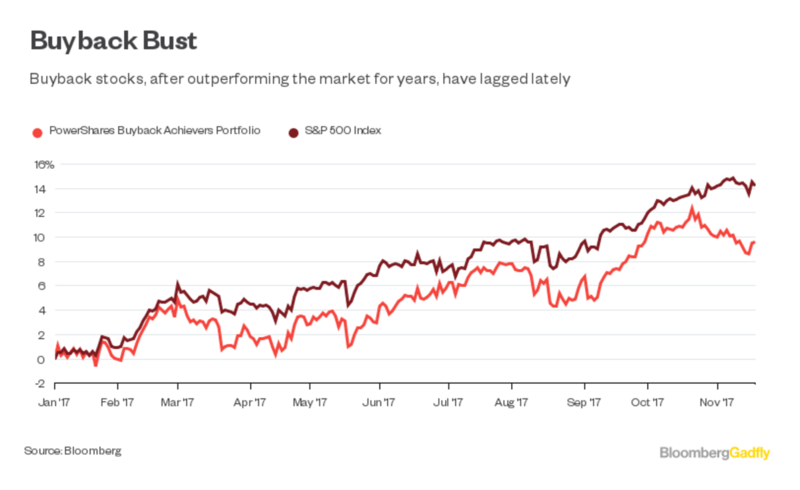 Since the early 2000s, buybacks have been on a steady increase amongst S&P 500 companies, with the 2008 crash only slowing down the inevitable increase of companies rebuying their own shares. There are several reasons why a company will buy back its shares. The role of the CEO is to allocate capital into 4 main brackets: Mergers & Acquisitions, Capital Expenditures for growing the business internally, Dividends or share buybacks. Of course, the CEO can always revert to hoarding cash or short-term bonds with the company’s funds, until he sees a better option. The reason to choose buying back shares over the other options is either (A) shares are cheap, (B) there are no better options (C) the CEO is looking to create an “artificial” better than expected EPS. Repurchasing shares can indicate internal confidence in a company, possibly signaling an undervalued share price, but it can also indicate troubling times. A buyback could be done to boost confidence amongst investors, increase financial ratios, and generate cash quickly. The best scenario is to see the CEO also buying with his own money, as well. The value of this practice is to reduce the overall share count, which is advantageous, since it makes each shareholder the owner of additional equity without paying taxes for the increase. Up until late 2017, buyback companies have outperformed markets six out of the nine previous years, with 2018 set to be the year of buybacks. Despite lacking in 2017, the trend is still upwards. With Trump's tax breaks, U.S. companies are taking advantage of the situation. Buybacks can give shareholders' investments a boost, but there's also a call for tougher stances. Since the tax cut bill was passed in December 2017, buybacks have surged. This has prompted the SEC to call for stricter guidelines on corporate officials cashing in after buyback announcements. Another controversial point regarding buybacks is based on how accurate the price is. Triggering a short-term price explosion of shares after a buyback, many say it's used to hide internal or financial problems within the company, giving insiders an exclusive chance to take profit at the cost of others. 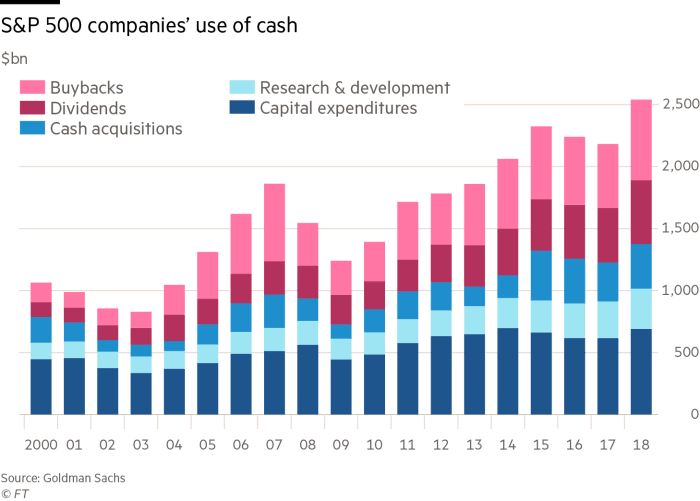 Companies are keen on buybacks for 2018 and 2019. In Q1 of 2018, over $170 billion was pumped into buyback commitments alone, regardless of SEC complaints. FATAL HEADSHOT: Dollar Wound Bleeding BAD!